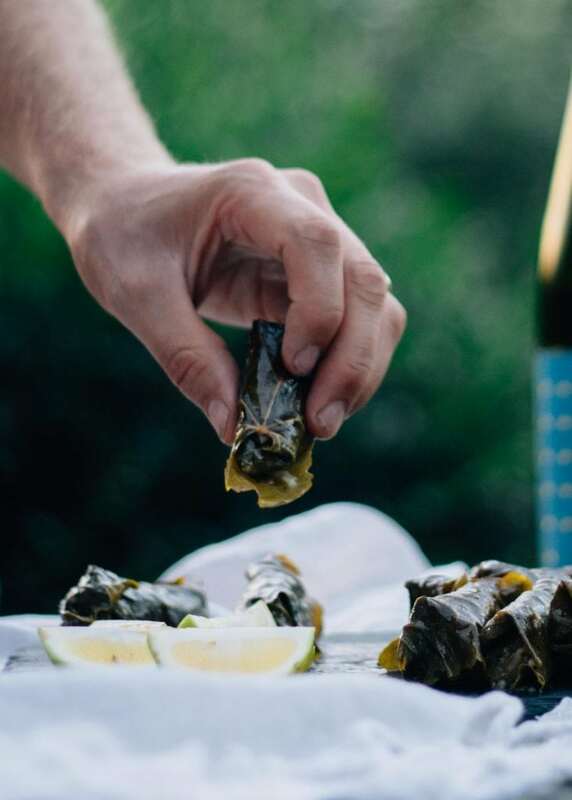 There’s nothing that says summer more than long, slow evenings dining al fresco, a chilled glass of wine, sun-kissed cheeks and salty locks. Plus, there’s something about eating outside that makes the food taste richer, the wine sweeter and life feel lighter. 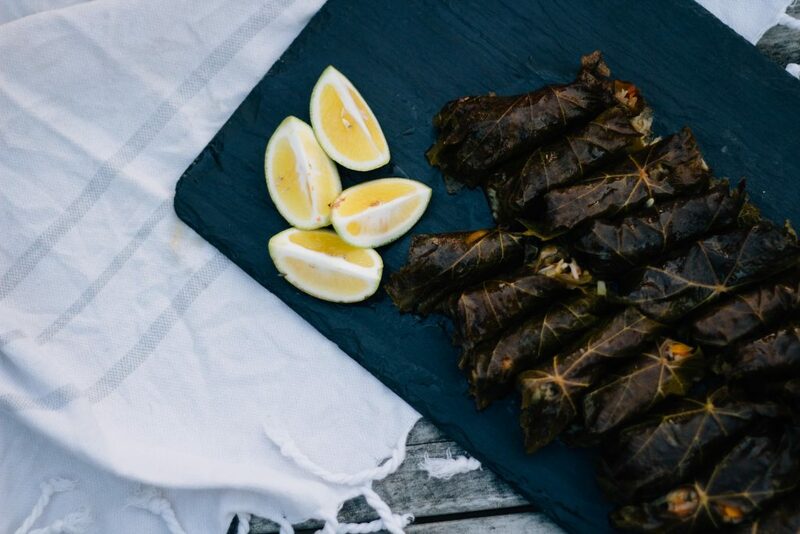 A classic Greek dish, dolmades are perfect for sharing. Once you get the hang of wrapping them they’re not too fiddly, and they keep for a day or so, making it easy to prepare them the night before you want to eat. 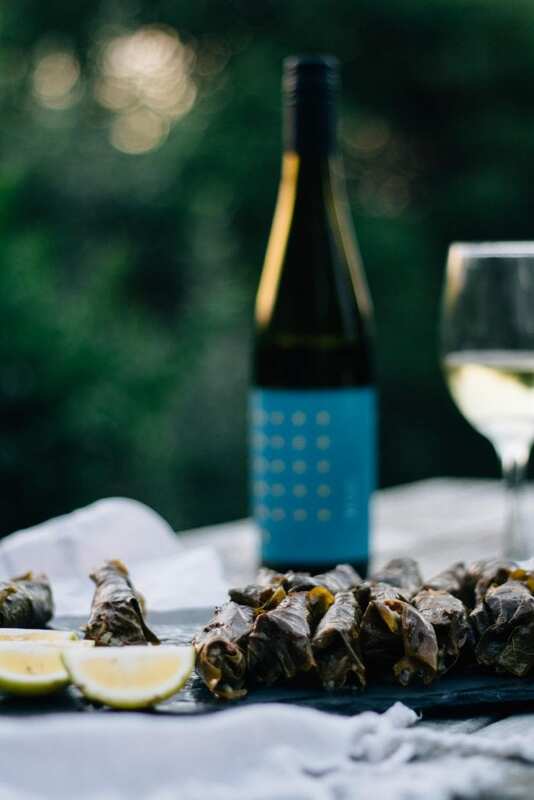 We paired our dolmades with a chilled glass of 27seconds Riesling – the crisp sweetness of the wine was a perfect match for the delicate flavour of the dolmades, and so refreshing in the residual heat of the day. 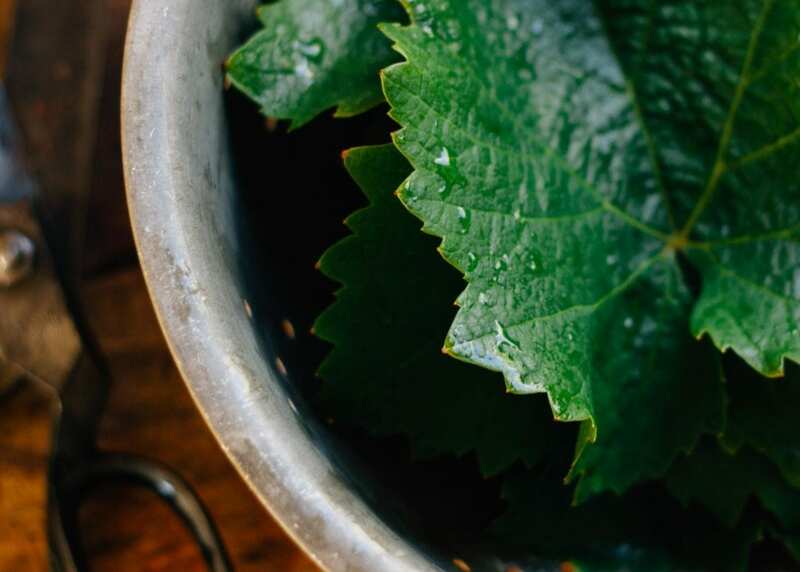 Gather, rinse and pat your vine leaves dry before starting. Grate onion, mushroom, carrot, courgette and tomato. Heat three tablespoons of olive oil in a large pan and sauté the onion until golden. Add the mushrooms, carrot, zucchini and rice and continue to sauté for about 10 minutes. 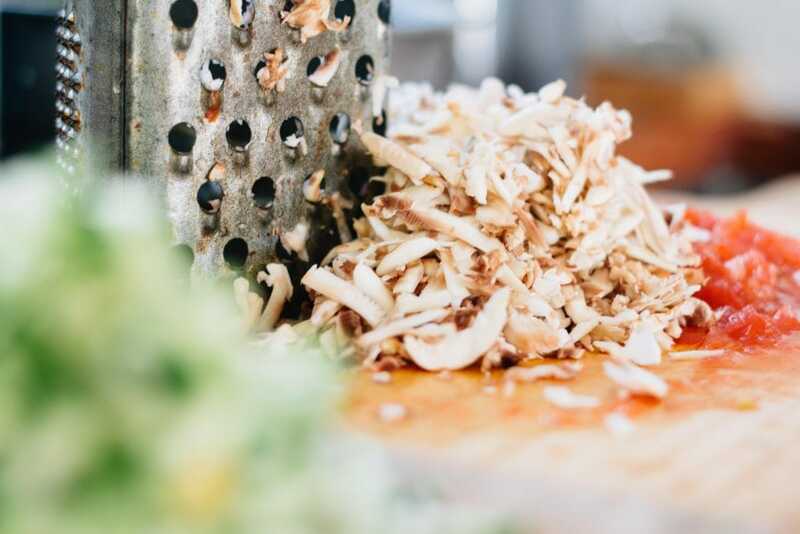 Add the grated tomato (keep aside 2 tablespoons for later), parsley, aunt and lemon juice and season liberally with salt and pepper. Simmer for five minutes before removing from the heat and adding the grated parmesan/kefalotiri. 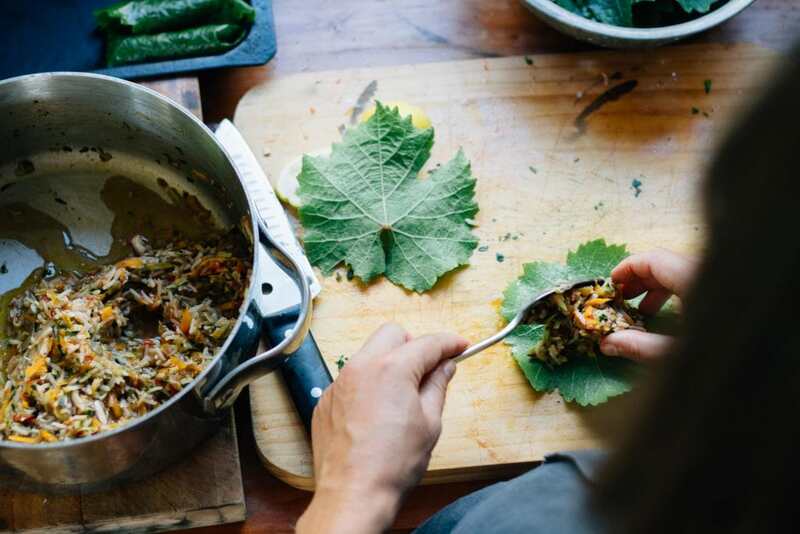 Have a casserole dish ready to place rolled up vine leaves in for baking. One by one take vine leaves and place shiny side down on your work surface. 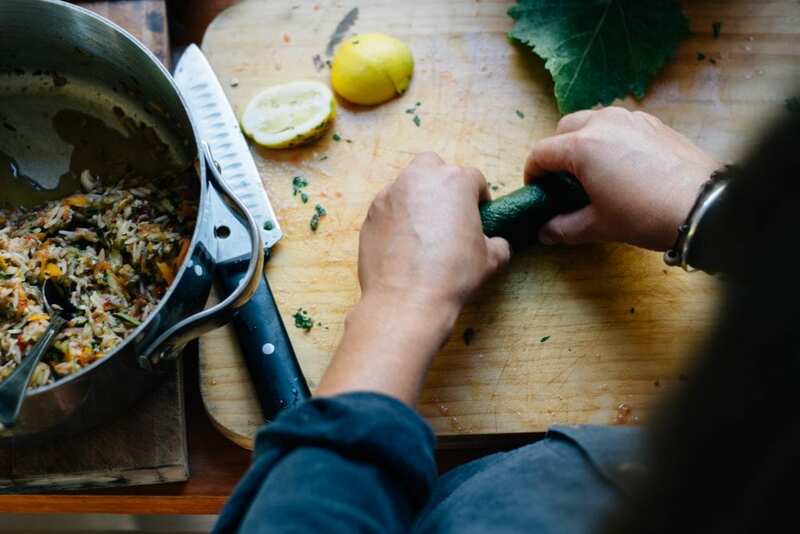 Spoon a heaped tablespoon of filling onto each leaf and roll up, tucking the sides in after the first roll. 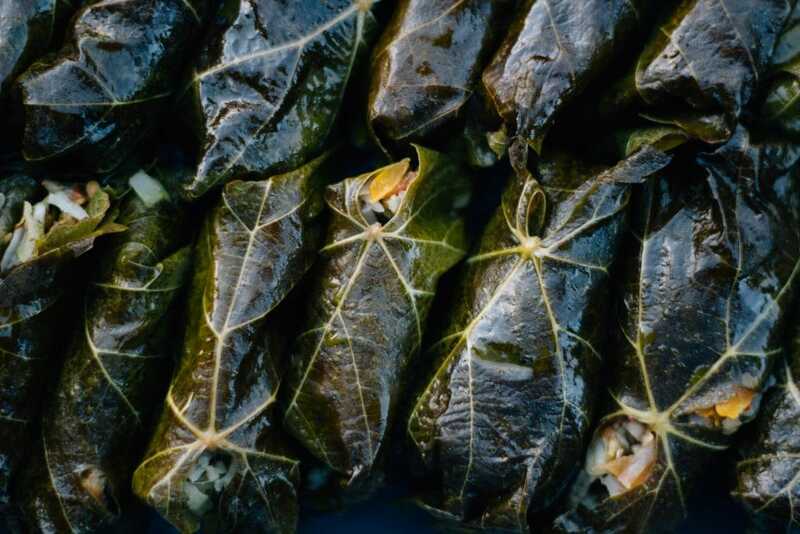 Line dolmades up in the dish in a single layer, they should help to hold each other together. If you have too many to fit, stack the remaining few on top. Scatter rolled dolmades with remaining grated tomato. 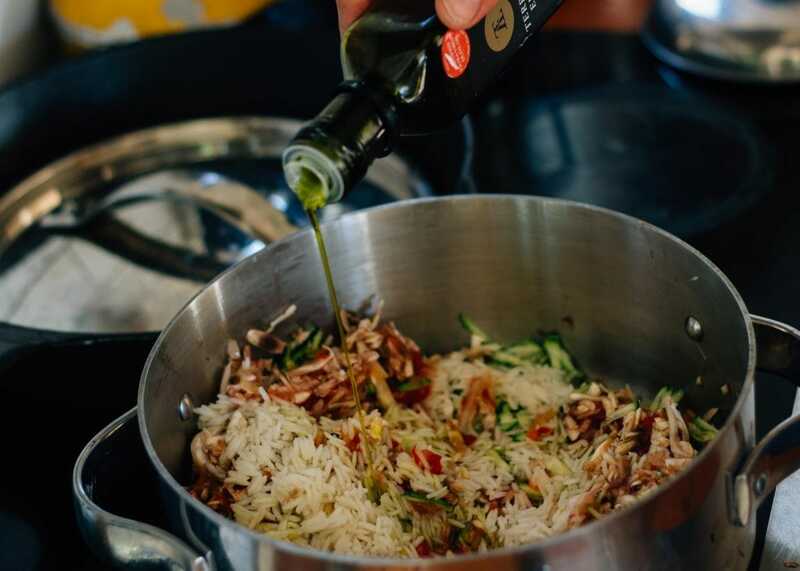 Add 250ml of water to the dish and drizzle with remaining olive oil before seasoning with salt and pepper. Make sure the liquid is distributed fairly evenly throughout the dish before you cover with foil and bake in the oven for one hour. Uncover and bake for a further 10 minutes before serving with freshly sliced wedges of lemon.